Fall, fall, fall. There a reoccurring theme here, but if you're anything like me you aren't hating it. It's time to pull out those comfy sweaters and leggings that have been tucked away in the closet because today I'm sharing all of my favorite fall fashion trends. There have been a ton of new (and old) fashion trends that have been surfacing as the weather has gotten cooler. I have loved spending time on Pinterest and seeing all of the new ways to wear simple pieces and stay warm. 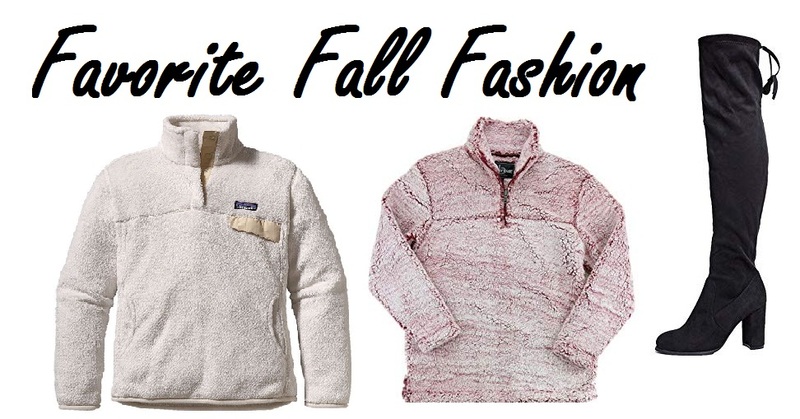 Some of my favorites are the neutrals, the sherpa jackets and the knotted shirts. Since it's gray and cold outside it's totally acceptable to wear black leggings or jeans. You can literally pair ANY color with this combo. I love the neutral look because it's very chic and appropriate not only for work but happy hour too. Pair it with booties, a designer handbag and some gold jewelry and you are good to go. I have picked up a bunch of sherpa-like sweaters lately and I love every single one of them. I have also been loving the teddy coats, but the cheaper versions not the $200 ones. These not only look super soft, but they are really soft and warm. Plus in the fall, as it gets colder your clothes get hidden behind jackets so why not make the jackets be that statement piece of your outfit. This is sort of a classic look, but it's timeless. You can still rock a skirt in the fall time especially if it's paired with a tucked in turtleneck top, tights and thigh high boots. This is one of my go-to looks when the leaves start changing. These shirts have exploded over the fashion blogging world lately. They are styled like the old school thermal shirts but have buttons down the front and they have a tie in the front. These look so cute especially paired with a complimentary colored bralette. Since they are a little looser they tend to hang down your shoulders a bit, so the bralette adds a nice touch! Anything and everything that says Patagonia goes into my favorites bin. There's something about these styles that look so good in the fall time. The jackets, vest and everything else are perfect for the fall. What are some of your favorite fall fashion trends?